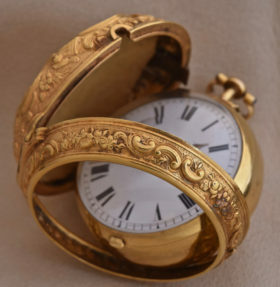 This unusual timepiece is intricately crafted of 22K gold with an open face design residing a triple case. 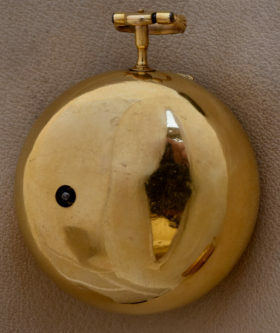 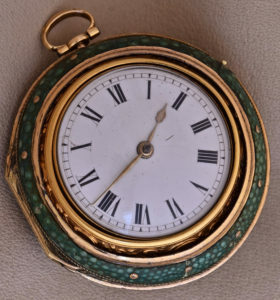 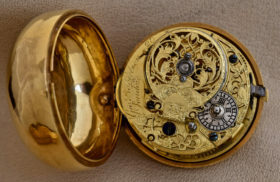 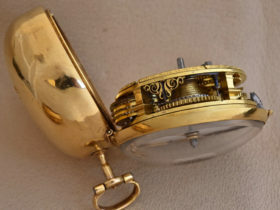 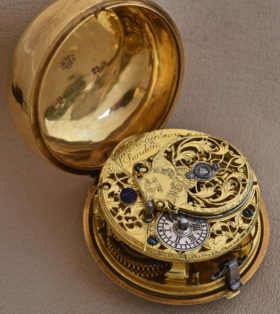 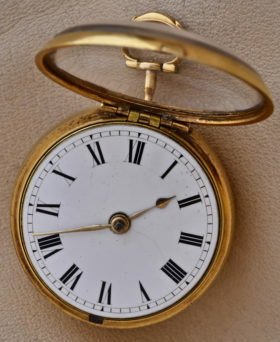 The watch features a key wind key set verge fusee movement #20, and a chain driven pierced and engraved filiate balance clock signed George Robertson, London. 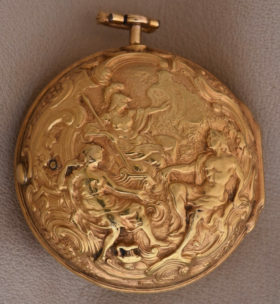 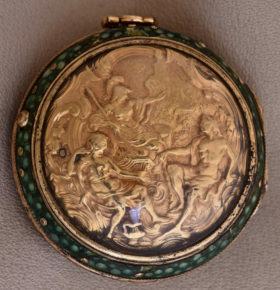 The repose inner case depicts a scene from Virgil’s Aeneid, and the outer case is crafted of gilt tombor alloy with shagreen pique and crystal.